The fishing is great right now--the recent rain has really turned them on. The last few trips I have guided have been gang busters. The fish are aggressive, my customers have been family trips which I really enjoy, and the fall colors and weather are unbelievable--what a blessing. So it's time to crank up the vise and "tie 1 on". 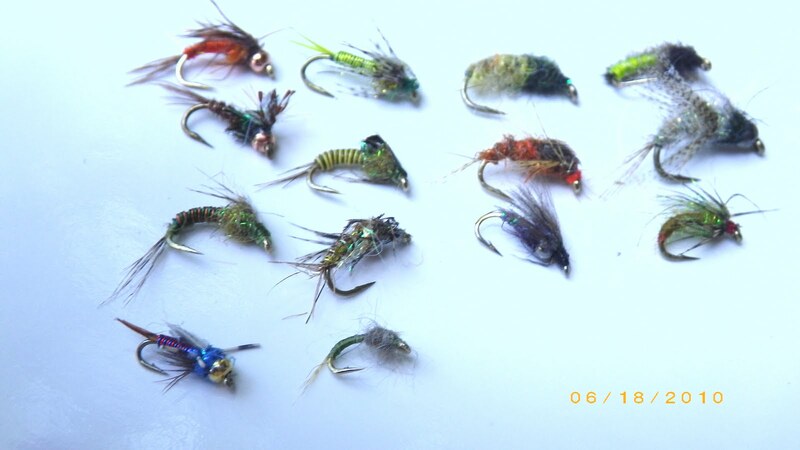 Our fly tying session will meet this Tues (Nov.2)--tomorrow--at Unicoi Outfitters in Helen at 6:00 PM. Come and show us how to tie your favorite fly or come and learn how to tie the flies you like to fish . We tie simple flies that catch fish--guaranteed. Don't have the equipment or supplies to get started--that's OK--we'll supply everything for you. Everyone is invited, hope to see you there.